Two of three victims spend four days in hospital. 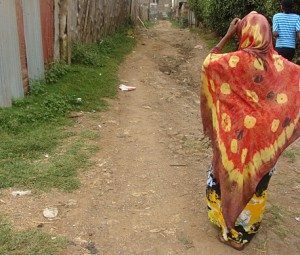 NAIROBI, Kenya (Morning Star News) – Hard-line Muslims on the outskirts of Nairobi, Kenya attacked a Christian widow’s children, ages 13, 17 and 21, leaving two of them seriously injured and still in pain 11 days after the assault, sources said. Hadiya (surname withheld), an immigrant from Somalia, had not yet returned from a trip to a funeral when the assailants of Somali descent broke into her home at a town (undisclosed for security reasons) outside of Nairobi, at 5:30 a.m. on Nov. 17. Hadiya’s 17-year-old daughter was asleep in her room, while the brothers (siblings’ names withheld for security reasons) were asleep in the front room, when the Muslim gang knocked on their door, the older brother told Morning Star News. The brothers asked who was at the door. Refusing to identify themselves, the Muslims smashed a window, the older brother said. Their sister began screaming as the assailants broke in through the window, and the three siblings tried to escape through the door, Hadiya said. The gang beat them so much that blood was found throughout the front room, a Christian neighbor told Morning Star News. Neighbors soon arrived and rescued the three children. The younger brother suffered injuries to his left leg, neck and chest, while the older brother sustained injuries to his head, chest and back from a blunt object and remains very weak, according to the neighbor. Their sister, who received heavy blows and kicks, bled from her nose and sustained a rib injury, he said. A doctor’s reports corroborated his assessment of the injuries. A recent follow-up visit to the doctor showed the older brother and sister need X-rays as they remain in continuous pain, Hadiya told Morning Star News by phone. 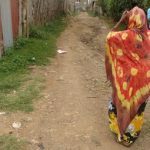 Having fled Somalia more than 13 years ago after the death of her husband, Hadiya has eight children – two from remarriage, though her second husband recanted his Christian faith amid a wave of persecution and returned to Somalia in 2010. Somalis generally believe all Somalis are Muslims by birth and that consequently any Somali who becomes a Christian can be charged with apostasy, punishable by death. Kenya ranked 18th on Christian support organization Open Doors’ 2017 World Watch List of the 50 countries where it is most difficult to be a Christian. Hadiya said her family has suffered various attacks since embracing Christ. After she filed a police complaint about an attack by Somali Muslims in Kenya in 2014, no fewer than 10 Islamic elders visited her to warn that she was risking her life by doing so. Last year Somali Muslims attacked another of her adult sons, beating him unconscious. Muslim Somalis in Nairobi had seriously injured the same son on Oct. 27, 2011, after they learned that family members had become Christian. The Somali neighbors hit him with a metal bar on his forehead and face, and he lost two teeth and sustained knife wounds to his hand. They left him for dead. She called for the government to offer protection. I stand by all Somalian christian brothers and Sisters. I may not be a preacher of the Gospel of Christ Jesus,But all i know about Christ,i have vowed to let them know of the Lord God who rescued me from a situation i could not rescue my self from. Christ is Love…God is Christ.Religious indifference can not mean our end as Christians but rather the beginning of our glory. Hadiya,stand in Christ as we plan on how,By the grace of God,some funds for the Gospel of Jesus Christ to reach your Area and give support to our Best.